The participation of Arizonans in advocacy, restoration, and wilderness monitoring activities are an essential function of the Arizona Wilderness Coalition’s mission to protect our state’s wild lands. In addition to safeguarding Arizona’s existing wilderness areas that AWC helped protect in past years, our organization also engages volunteers to assess, monitor, and advocate for the next generation of protected areas. From restoring streamside riparian areas to decommissioning roads at the edge of future wilderness areas, thousands of volunteers have enjoyed our weekend field excursions to every corner of the state. In 2010, we organized field weekends in the Sonoran Desert National Monument, Prescott National Forest, Upper Verde River, and Burro Creek wilderness, among others. As a result, not only has our organization compiled the most up-to-date, accurate assessments of many places on our public lands, we also now maintain the most extensive inventory of potential wilderness areas for future campaigns. Education is an important component of our field programs. During every field excursion, volunteers learn about the natural and culture history of the place they visit, instilling our citizenry with the knowledge and personal connections to our wildlands that give them the tools necessary to help advocate for their protection. 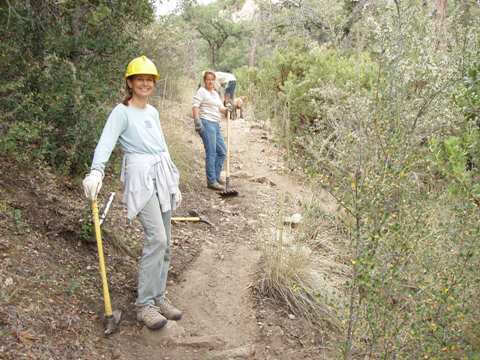 Find out more about our Wilderness Stewardship Program, run from our Prescott Wilderness Center...no experience necessary and training provided! We are offering a series of training events teaching the skills for Wilderness Stewardship. If you would like to adopt a Wilderness, this is how you start! Interested in volunteering with AWC? Check out our latest volunteer field schedule here.